For the work he is doing in delivering democracy dividends to residents of Federal Capital Territory (FCT), Minister of FCT, Malam Muhammad Musa Bello, has attracted praises from an unexpected source.Governor Okezie Ikpeazu of Abia State last week lauded the efforts and accomplishments of the Minister. 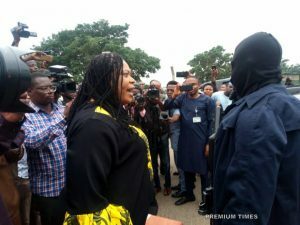 The Governor spoke while speaking to journalists from a select group of media houses, including Abuja Digest Weekly, in Abia Governor’s Lodge, Abuja. Describing the Minister variously as ”a very honest man” and ”a hard working man”, Gov. Ikpeazu said he (Minister) has brought these intrinsic qualities to bear in his visible accomplishments in several areas such as infrastructure development, security, and others. 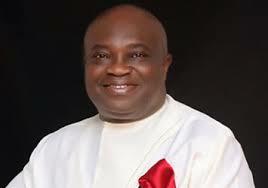 Governor Ikpeazu had been asked to give his opinion on the Minister’s performance. The Governor remarked: ”I think he is doing well. All the infrastructure are working.” He added that ”people like to complain when things are not going well, but many don’t have the courage to praise one when one is doing well,” saying, in his view, Malam Bello is delivering governance dividends well. Governor Ikpeazu pointed to functional amenities in FCT such as streetlights, good roads, the Abuja Light Rail, and others as some phenomenal achievements associated with the Minister. He said anyone can visit Abuja, stay in safety and return to their bases without fear. The Abia State Chief Executive stressed that superintending over the nation’s capital, which includes the presidential area, is no mean feat, insisting that Malam Bello has proven that he is up for it. However, he noted that with the obvious high rate of growth of Abuja, certain challenges were bound to crop up such as transportation and others, saying such could be tackled. He also suggested that tourism can be enhanced, given FCT’s beautiful physical attributes, to give greater ambience to the Territory. The governor also spoke on some of his own achievements in office, listing, among many others, the over $20 billion investment inflow into the state; payment of highest salaries in the country to judicial officers; a network of road projects and bridges; motivation of workers in the state public service; promotion of made-in-Aba goods to further create wealth locally.